Navicky lives in Freeport and teaches English at Southern Maine Community College. His other short fiction has been published in numerous literary journals. This collection of 25 short stories reveals his talent for challenging the reader to think, a risky dare for any writer. The creepiest story is “Fall of An Usher,” where Kyle is hired from Craigslist to be an usher at a wedding on Deer Isle. His girlfriend warns him it’s a scam, but he is intrigued and goes anyway. The wedding weekend and the ceremony are not at all what he expected — with painful result. Funniest is “The Owl in the Road,” when a wanna-be historian attends a social event at the Portland Historical Society and battles with an overflowing toilet in the men’s room. This is an embarrassing plumbing misfortune sure to be blamed on him, so he executes a perfect “clog and run.” Hilarious. Other stories include an exploding boat marina in Portland Harbor, a motorist’s late-night odd encounter with a tow-truck driver and a lighthouse in the middle of Washington County. Yarmouth author and award-winning environmental educator Charlene D’Avanzo continues her environmental-themed mysteries with this third book featuring scientist and amateur sleuth D. Mara Tusconi. This book finds Mara literally over her head in cold ocean waters and amid a murder mystery that just might see her as the next victim of violent crime. D’Avanzo’s mysteries heavily favor environmental subjects — like pollution, resource depletion and global warming — and how they adversely affect the oceans, fisheries and sea life. D’Avanzo does not hide her ecological concerns, displayed clearly and convincingly in Mara’s research as an oceanographer with the Maine Oceanographic Institute in fictional Spruce Harbor. Mara’s work at MOI is disrupted, however, when she finds a dead body under her cousin’s aquaculture mussel-growing raft. 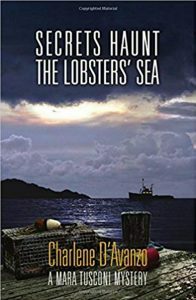 Cousin Gordy is spooked, avoids the police and convinces Mara that the answer lies offshore on Macomek Island — a clannish community of rough lobstermen. He asks Mara to investigate there before he will talk with the police. This is a very bad idea. Mara is an outsider snooping on a Maine island where nosy outsiders are not welcome, asking questions nobody will answer, making some folks very nervous. Her cover story is too thin. Islanders lie and dissemble, point fingers and distract, and the cops are no help. She wonders if the suspicious death was really a murder or an accident, why nobody seems to care and whether the motive may be greed or revenge. There’s evidence of both, but things just don’t add up. And then people try to kill her, too. 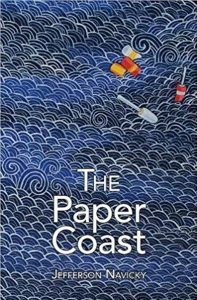 Skip Mara’s corny romance, pining for an old boyfriend, and focus instead on Mara’s investigation and D’Avanzo’s sharp descriptions of oceanographic research on lobster habitat, Maine’s deep coral formations and the future of lobster fishing in the Gulf of Maine.